I'm excited to introduce Linda today! 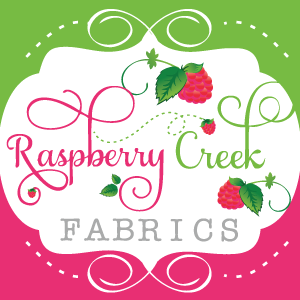 I stumbled across her blog Sewburbia ages ago and just fell in love with her style, photography and creativity. Speaking of creativity.... her sewing always looks perfect. 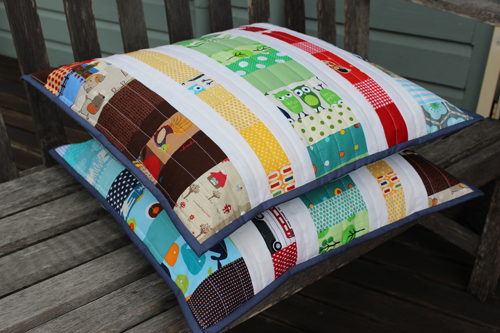 Check out these adorable pillows she made from scraps. 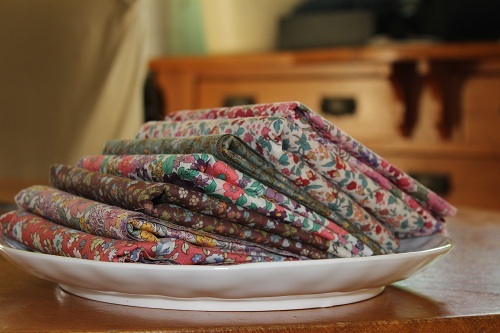 And I love her fabric choices-- this is what she has planned for her next quilt. 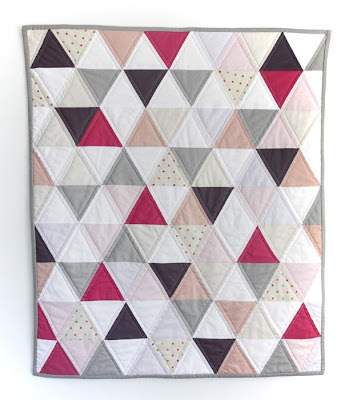 And my Australian Readers are in luck... she also has a fantastic shop where she sells blankets like these! Love! Thank you Palak for inviting me to share my Handmade Confession! Like sewing the top part of kid's pants together instead of the bottom leg parts. Or never using pins or changing needles. Using the hand wheel on my overlocker/serger when going over bulky seams 'cause I hate rethreading it when invariably the lower looper thread breaks. Using pink ball point pen or the kid's colouring pencils instead of chalk for marking. Or basically giving up and saying that'll do instead of re-doing. 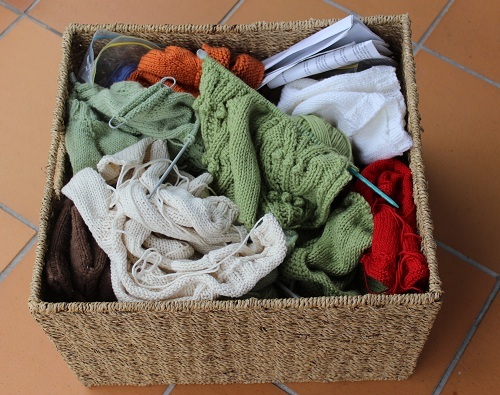 My Big Basket of Unfinished Knitted Objects. You see, I started knitting about 6 months before becoming pregnant with my eldest son (super early nesting) and I amassed a HUGE stash of yarn. 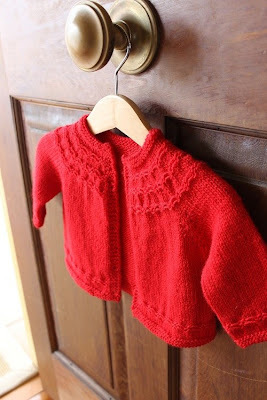 With my new found skills I started on one project after another, finishing things properly, knitting for friends' babies and my soon-to-be baby. Then my first son arrived and I only had little snippets of time to knit. If I became bored of one project, I would start a new one, then I would be distracted by a new pattern and start to knit it too. Suddenly I had zip lock bags of little projects all over the house, in old handbags and totes, complete with their needles and instructions! Then I bought a sewing machine (and along with it came instant gratification), so those slow projects never had a chance! 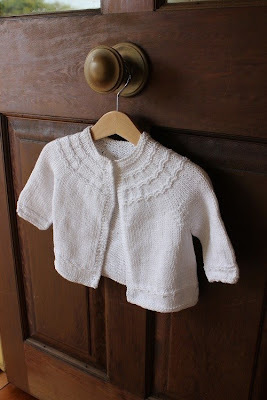 Well, I'm happy to say that taking that photo has inspired me to finish a few of those almost done baby cardigans that were destined for babies that are now all school aged. In the end it took only a few hours over the weekend to finish knitting or sewing them, drying them on towels took much longer. Looking at them, I guess they're not really all done are they? They still need buttons! And if you're wondering what I'm going to do with these cardigans once the buttons are on, they're going here to charity. I hope you get those buttons on this weekend! 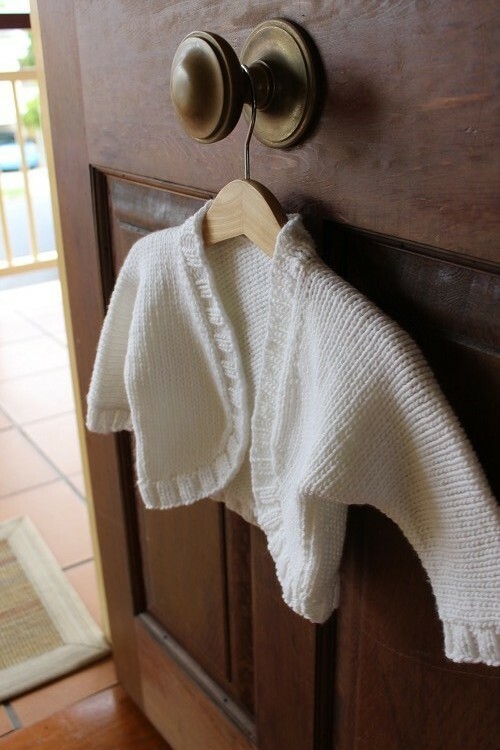 Those cardigans are too cute not be worn. I can certainly relate to unfinished knitting projects sitting around for years! I hope everyone has a wonderful weekend and get some time to finish a UFO or two. But before you start knitting or sewing, head on over to Sewburbia and visit Linda-- you won't be sorry!